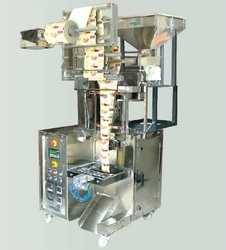 Pioneers in the industry, we offer packaging machine from India. UNIQUE PACKAGING SYSTEMS a leading manufacturer and exporter of a wide range of packaging machines. These are fabricated using premium quality raw material and sophisticated technology in compliance with international standards. The offered machine is well-known among clients for its high efficiency, excellent functionality and sturdy construction. Packaging Details: Good quality wooden box packing.